*The latest printing available now in US & UK English, Brazilian Portuguese, French, Japanese, Simplified Chinese and Spanish. Present printing still available for German, Korean, Russian and Turkish. Look for latest printing for these languages and Dutch this summer. FYI® for your improvement is an easy-to-use competencies development guide based on the Korn Ferry Leadership Architect™ Global Competency Framework. Identify development needs. Create targeted development plans. KF360 Feedback System—Supports two web-enabled approaches, using either a competency or a behavioral-based research-validated 360º feedback solution; provides learners with a powerful tool for development and improvement. 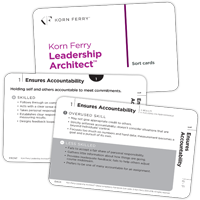 Korn Ferry Leadership Architect™ Sort Cards —The Korn Ferry Leadership Architect™ Sort Card Deck is made up of single cards devoted to each of the 38 Korn Ferry Leadership Architect™ competencies, as well as their corresponding factors and clusters. Each card includes the skilled, less skilled, and overused skill definitions. 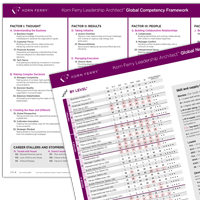 Korn Ferry Leadership Architect™ Global Competency Framework—The Korn Ferry Leadership Architect™ Global Competency Framework features double-sided illustrations that depict the Korn Ferry Leadership Architect™ Global Competency Framework as well as global norms and performance correlations. ReadA sample chapter of FYI® for your improvement. LearnAbout Korn Ferry Leadership Architect™. View The Korn Ferry Leadership Architect™ Research Guide and Technical Manual. 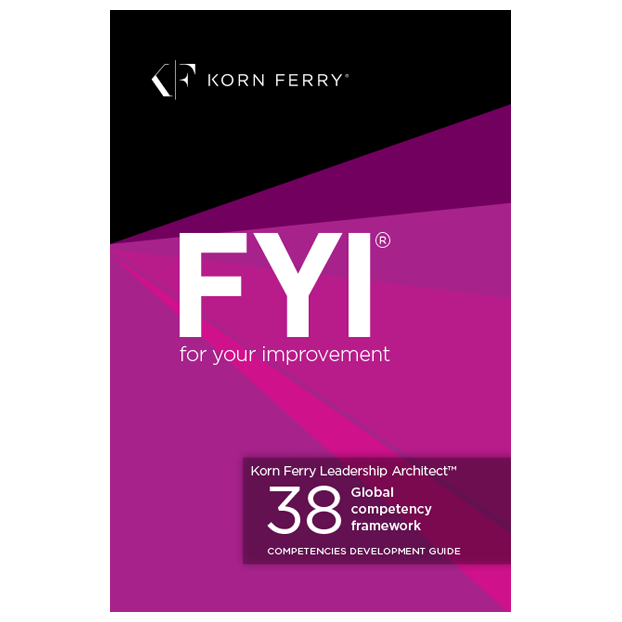 DownloadThe FYI® for your improvement chapter guide to gain a better understanding of the Korn Ferry Global Competency Framework. DownloadA copy of the whitepaper "Define. Distill. Deploy: Adopting twenty-first century competencies for high-impact talent."